This how paranoia works: every time I read a newspaper, famous people have died! If I had a talent for paranoia, I would not read newspapers any longer, because I don’t won’t people to die. 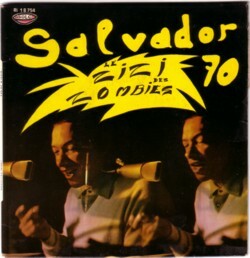 I think that there will be many CD’s out with greatest hits of Henri Salvador. 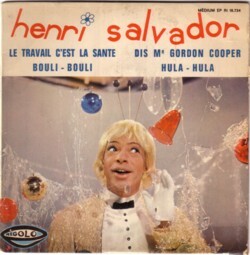 My favourite song by Henri Salvador (and let me say it once again: I have no idea what the man recorded in the seventy years that he was popular in French, so I have no idea what I am talking about) is a song about computers. Songs about computers, robots, A.I.’s, virtual realities and related subjects are one of my all time favourite categories. I have not written much about this special shelf in my wall of records, but that will happen soon, I promise. 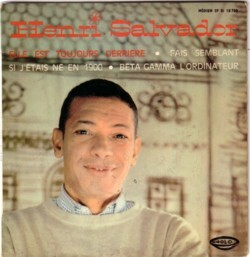 Henri Salvador recorded Beta gamma L’ordinateur in 1970 or so; not many people jumped that early on this topic. Remember what a computer was in 1970? 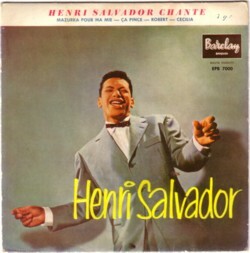 Hey Henri, if you read this: have fun, man, I love your records! Well, some of them!